Preheat the oven to 350°F (177°C). Place a silicone mat on a rimmed baking sheet or spray a rimmed baking sheet with cooking spray. In a large bowl, mix together the oats, chia seeds, pumpkin seeds, mango, blueberries, coconut, cinnamon, and salt. 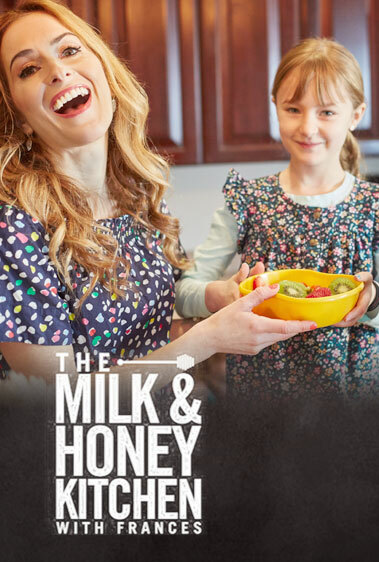 In another bowl, combine the butter, oil, and honey. Pour the wet ingredients over the dry, stir to combine, and spread the mixture onto the prepared baking sheet in an even layer. Bake the granola for 20 minutes, until golden. 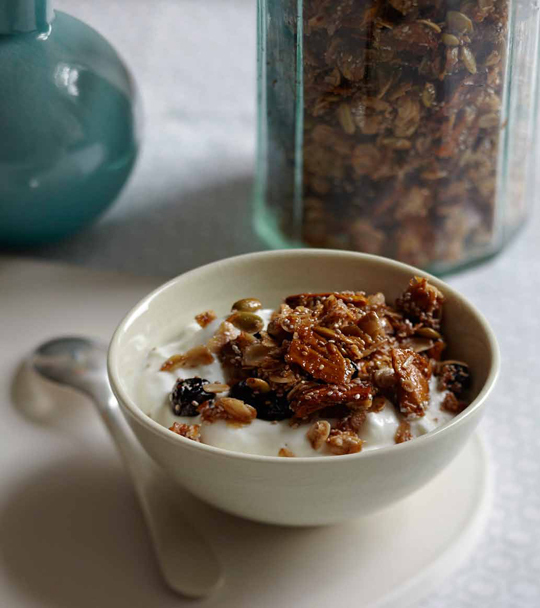 Let cool for at least 15 minutes, then use your hands to break the granola into pieces. Transfer to an airtight container (I like lidded glass jars). The granola will stay fresh for 1 week to 10 days.